Jill S. Alexander: the author of THE SWEETHEART OF PROSPER COUNTY and PARADISE. Jill is from Tyler. SEE ALSO An Interview with Jill S. Alexander. 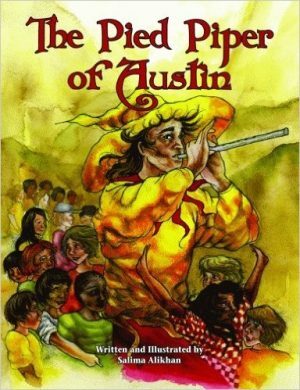 Sal ima Alikham: the illustrator of ROCKY MOUNTAIN NIGHT BEFORE CHRISTMAS and PIECES OF ANOTHER WORLD and the author/illustrator of THE PIED PIPER OF AUSTIN. Salima makes her home in Austin. SEE ALSO An Interview with Salima Alikhan. Crystal Allen: the author of THE MAGNIFICENT MYA TIBBS, THE LAURA LINE and HOW LAMAR’S BAD PRANK WON A BUBBA-SIZED TROPHY. Crystal lives in the Houston area. SEE ALSO An Interview with Crystal Allen. 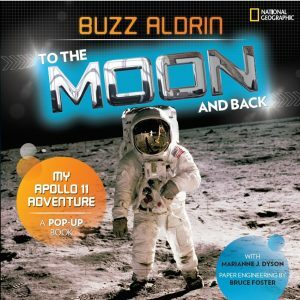 Brian Anderson: the author of the ZACK PROTON books. Brian is from Austin. SEE ALSO An Interview with Brian Anderson. E. “Emily” Kristin Anderson: the co-anthologist of DEAR TEEN ME: AUTHORS WRITE LETTERS TO THEIR TEEN SELVES and the author of THE SUMMER OF UNRAVELING. Emily lives in Austin. SEE ALSO An Interview with E. Kristin Anderson. Jessica Lee Anderson: the author of CALLI, BORDER CROSSING and TRUDY as well as books for younger kids. Jessica lives north of Austin. SEE ALSO An Interview with Jessica Lee Anderson. Kathi Appelt: the author of THE UNDERNEATH, KEEPER, MAYBE A FOX, and numerous picture books, including the BUBBA AND BEAU series and MISS LADY BIRD’S WILDFLOWERS: HOW A FIRST LADY CHANGED AMERICA. Kathi lives in College Station. SEE ALSO An Interview with Kathi Appelt. Dianna Hutts Aston: the author of numerous picture books including, AN EGG IS QUIET, DREAM SOMETHING BIG, THE MOON OVER STAR and WHEN YOU WERE BORN. Dianna lives in Texas. See also An Interview with Dianna Hutts Aston. 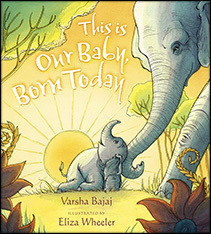 Varsha Bajaj: the author of THIS IS OUR BABY, BORN TODAY, HOW MANY KISSES DO YOU WANT TONIGHT? and T IS FOR TAJ MAHAL, and the novel ABBY SPENCER GOES TO BOLLYWOOD. Varsha lives in the Houston area. SEE ALSO An Interview with Varsha Bajaj. Roberta Baird: The illustrator of THE YELLOW BOAT, THE RUNAWAY PUMPKIN PIE MAN, THE SWAMP WHERE GATOR HIDES, THE LEGEND OF RANGER, THE REINDEER THAT COULDN’T FLY, I SEE THE ANIMALS SLEEPING and many other educational readers. Roberta lives in Houston, Texas. 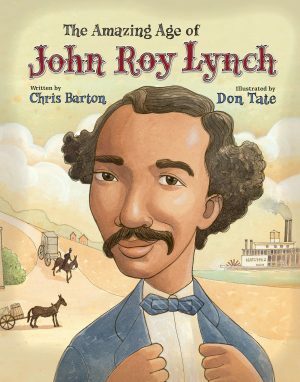 Chris Barton: the author of numerous books for young readers including THE AMAZING AGE OF JOHN ROY LYNCH, WHOOSH! LONNIE JOHNSON’S SUPER-SOAKING STREAM OF INVENTIONS, THE DAY-GLO BROTHERS, SHARK VS. TRAIN and CAN I SEE YOUR ID?. Chris lives in Austin. SEE ALSO An Interview with Chris Barton. Patrice Barton: the illustrator of many books for young readers, including THE INVISIBLE BOY, I PLEDGE ALLEGIANCE and THE YEAR OF THE BABY. Patrice lives in Austin. SEE ALSO An Austin SCBWI Member Interview with Patrice Barton. Holly Bea: the author of several books, including GOD BELIEVES IN YOU, BLESS YOUR HEART, WHERE GOD LIVES and LUCY GOOSE GOES TO TEXAS. Holly has lived in Lubbock and now makes her home in Dallas. Kelly Bennett : the author of numerous books, including NOT NORMAN: A GOLDFISH STORY, DAD AND POP, YOUR DADDY WAS JUST LIKE YOU, YOUR MOMMY WAS JUST LIKE YOU, ONE DAY I WENT RAMBLING and SPIDER SPINS A STORY: FOURTEEN LEGENDS FROM NATIVE AMERICA. SEE ALSO An Interview with Kelly Bennett. Marcia Bennett: the author several books, including UMBRELLA TOWN, MYSTERY AT JACOB’S WELL and SOMEBODY LEFT THE DOOR OPEN. Marcia lives in Wimberly. Mike Benny: the illustrator of AMERICAS WHITE TABLE, THE LISTENERS, JUST AS GOOD: HOW LARRY DOBY CHANGED AMERICA’S GAME, OH, BROTHER! and more. Mike makes his home in Austin. SEE ALSO An Interview with Mike Benny. Cate Berry: the author of PENGUIN AND TINY SHRIMP DON’T DO BEDTIME. She grew up in the Houston area and now lives in Austin. Diane Gonzales Bertrand: the author of several novels, including ALICIA’S TREASURE, TRINO’S CHOICE, and TRINO’S TIME as well as bilingual picture books, SIP,SLURP, SOUP, SOUP/CALDO, CALDO, CALDO, FAMILY, FAMILIA, THE LAST DOLL, and UNCLE CHENTE’S PICNIC. Her books are published by Arte Publico Press in Houston. She is Writer-In-Residence at St. Mary’s University in San Antonio. SEE ALSO An Interview with Diane Gonzales Bertrand. Molly Blaisdell: the author of several children’s picture books, including CHICKENS DO NOT TAKE OVER HALLOWEEN, REMBRANDT AND THE BOY WHO DREW DOGS plus IF YOU WERE A QUADRILATERAL and many others. Molly is a native Texan and currently lives in College Station. Misha Blaise: the author-illustrator of MY WONDROUS CLOUD ODYSSEY, THIS IS TEXAS, Y’ALL and MY PHENOMENAL LIFE. She lives in Austin. SEE ALSO An Austin SCBWI Member Interview with Misha Blaise. Deborah Blumenthal: the author of numerous books, including THE LIFEGUARD, FAT CAMP, THE BLUE HOUSE DOG, CHARLIE HITS IT BIG, ICE PALACE, AUNT CLAIRE’S YELLOW BEEHIVE HAIR, THE CHOCOLATE-COVERED-COOKIE TANTRUM and DON’T LET THE PEAS TOUCH AND OTHER STORIES. Deborah Blumenthal used to live in Houston, but now makes her home in New York City. Karen Blumenthal: the author of several nonfiction books, including HILARY RODHAM CLINTON: A WOMAN LIVING HISTORY, TOMMY: THE GUN THAT CHANGED AMERICA and BONNIE AND CLYDE: THE MAKING OF A LEGEND. Karen lives in Dallas. Sam Bond: the author of the COUSINS IN ACTION (CIA) novel series. Sam lives in Austin. SEE ALSO An Interview with Sam Bond. Beth Bowland: the author of POLARIS. Beth lives in Arlington, Texas. 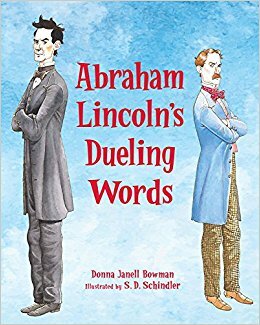 Donna Janell Bowman : the author of STEP RIGHT UP: HOW DOC AND JIM TAUGHT THE WORLD ABOUT KINDNESS, ABRAHAM LINCOLN’S DUELING WORDS and several other nonfiction picture books. Donna lives in Round Rock. SEE ALSO An Interview with Donna Janell Bowman. Libba Bray: the author of THE GEMMA DOYLE trilogy, GOING BOVINE, THE DIVINERS and BEAUTY QUEENS. Libba was raised in Texas and now makes her home in New York. SEE ALSO An Interview with Libba Bray. Paige Britt: the author of THE LOST TRACK OF TIME and the children’s picture book WHY AM I ME? Paige lives in Georgetown. SEE ALSO An Interview with Paige Britt. 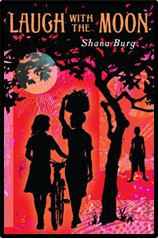 Shana Burg: the author of A THOUSAND NEVER EVERS and LAUGH AT THE MOON. Shana lives in Austin. SEE ALSO An Interview with Shana Burg. 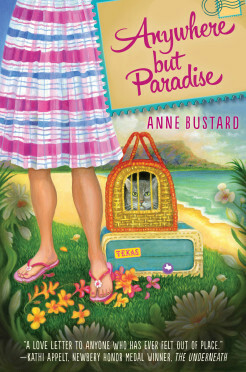 Anne Bustard: the author of ANYWHERE BUT PARADISE and the children’s picture books BUDDY: THE STORY OF BUDDY HOLLY and T IS FOR TEXAS. Anne lives in Austin. SEE ALSO An Interview with Anne Bustard. Lee Merrill Byrd: the author of THE TREASURE ON GOLD STREET, LOVER BOY, and BIRDIE’S BEAUTY PARLOR. Lee is the publisher of Cinco Puntos and lives in El Paso. SEE ALSO An Interview with Lee Merrill Byrd. Rachel Caine: the author of numerous books, including the Morganville Vampire series. Rachel lives in Fort Worth. SEE ALSO An Interview with Rachel Caine. Pam Calvert: the author of several books, including PRINCESS PEEPERS, MULTIPLYING MENACE; THE MAT MAKER and FLYING SAUCER. She lives in Del Rio, Texas. Amy Rose Capetta: the author of ENTANGLED, UNMADE and ECHO AFTER ECHO. Amy Rose used to live in Austin and now makes her home in Montpelier, Vermont. SEE ALSO An Interview with Amy Rose Capetta. Peggy Caravantes: the author of biographies, including SELF RELIANCE: THE STORY OF RALPH WALDO EMERSON, A GREAT AND SUBLIME FOOL: THE STORY OF MARK TWAIN, WRITING IS MY BUSINESS: THE STORY OF O. HENRY, WAGING PEACE: THE STORY OF JANE ADDAMS, AN AMERICAN HERO: THE AUDIE MURPHY STORY, and PETTICOAT SPIES. Katherine Catmull: the author of THE RADIANT ROAD, SUMMER AND BIRD and co-author of THE CABINET OF CURIOSITIES. Katherine lives in Austin. SEE ALSO An Interview with Katherine Catmull. 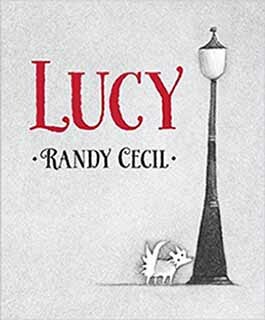 Randy Cecil: the author-illustrator of LUCY, DUCK, GATOR, HORSEFLY AND HONEYBEE, and the illustrator of BRONTORINA, LOVEABY DRAGON and HOW DO YOU WOKKA-WOKKA? Randy lives in the Houston area. e.E. Charlton-Trujillo: the author of WHEN WE WAS FIERCE, FEELS LIKE HOME, PRIZEFIGHTER EN MI CASA and FAT ANGIE. e.E. grew up in south Texas. J. B. Cheaney: the author of SOMEBODY ON THIS BUS, MY FRIEND THE ENEMY and THE MIDDLE OF SOMEWHERE. J. B. is originally from Dallas and now makes her home in Missouri. SEE ALSO An Interview with J. B. Cheaney. 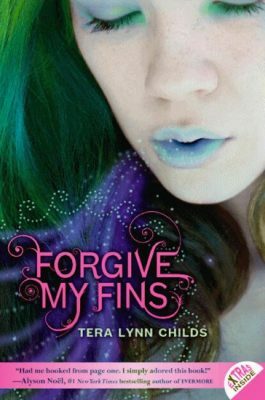 Tera Lynn Childs : the author of SWEET SHADOWS, SWEET VENOM, FORGIVE MY FINS, FINS ARE FOREVER, GODDESS BOOT CAMP, OH. MY. GODS and many more. Tera used to live in Texas. Melanie Chrismer: the author of MG nonfiction: LONE STAR LEGACY: THE TEXAS RANGERS THEN AND NOW, picture books CHACHALACA CHIQUITA, and the PHOEBE CLAPPSADDLE series, as well as several space science and math books for kids. Melanie is a fifth-generation Texan and lives in Pearland, Texas. SEE ALSO An Interview with Melanie Chrismer. 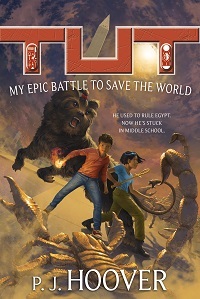 Samantha M. Clark: the author of THE BOY, THE BOAT AND THE BEAST. She lives in Austin. 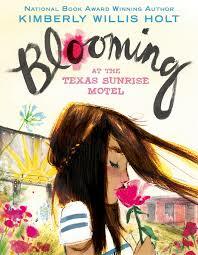 SEE ALSO An Austin SCBWI Member Interview with Samantha Clark. Peggy Clement: the author of QUEEN OF THE CASTLE and SHIFTING SAND. She lives in Lumberton, Texas. Rosemary Clement-Moore: the author of the MAGGIE QUINN series, TEXAS GOTHIC and THE SPLENDOR FALLS. Bill Cochran: the author of THE FOREVER DOG and MY PARENTS ARE DIVORCED and MY ELBOWS HAVE NICKNAMES AND OTHER FACTS ABOUT ME. Bill lives in Dallas. SEE ALSO An Interview with Bill Cochran. Donna Cooner: the author of CAN’T LOOK AWAY and SKINNY. Donna is from Texas but now makes her home in Colorado. SEE ALSO An Interview with Donna Cooner. 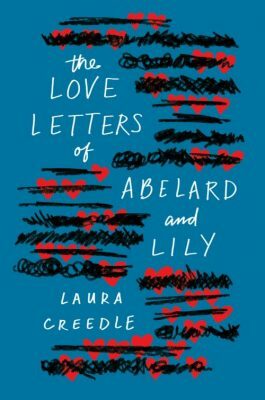 Laura Creedle : the author of THE LOVE LETTERS OF ABELARD AND LILY. Laura lives in Austin. Jeff Crosby: the author-illustrator of WIENER WOLF, ROCKABILLY GOATS GRUFF and other picture books. He is formerly of Austin and now lives in England. SEE ALSO An Austin SCBWI Member Interview with Jeff Crosby. James Crowley: the author of STARFISH. James lives in Austin. 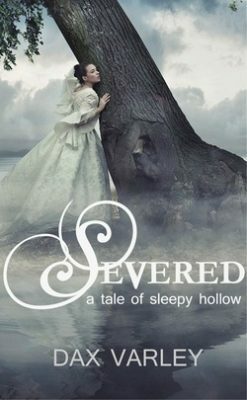 Suzanne Crowley: the author of THE VERY ORDERED EXISTENCE OF MERILEE MARVELOUS and THE STOLEN ONE. Suzanne lives in Southlake. SEE ALSO An Interview with Suzanne Crowley. Krissi Dallas: the author of The Phantom Island series. Krissi is from San Antonio and lives in the Dallas/Fort Worth area. SEE ALSO An Interview with Krissi Dallas. Tara Dairman: the author of the ALL FOUR STARS series and THE GREAT HIBERNATION. She lives in Austin. 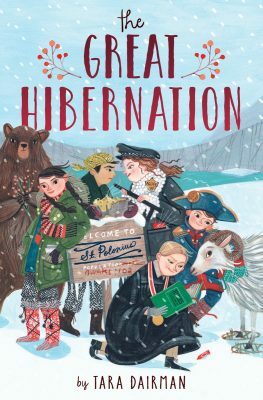 SEE ALSO An Austin SCBWI Member Interview with Tara Dairman. Sharon Darrow: the author of OLD THUNDER AND MISS RANEY, THE PAINTERS OF LEXIEVILLE, THROUGH THE TEMPESTS DARK AND WILD: A STORY OF MARY SHELLEY, CREATOR OF FRANKENSTEIN and others. She has lived in many Texas towns, most recently Weatherford, and currently calls Vermont home. SEE ALSO An Interview with Sharon Darrow. David R. Davis: the author of several picture books, including JAZZ CATS, THE GREEN MOTHER GOOSE, FANDANGO SKEW and LIBRARIANS’ NIGHT BEFORE CHRISTMAS. He grew up in San Antonio and lives in Fort Worth. Meredith Davis: the co-author of HER OWN TWO FEET: A RWANDAN GIRL’S BRAVE FIGHT TO WALK. Meredith lives in Austin, where she was the founding regional advisor of Austin SCBWI. Carolee Dean : the author of the young adult novels COMFORT, FORGET ME NOT and TAKE ME THERE. Carolee has lived in both Lubbock and Happy, Texas. She currently makes her home in Albuquerque. SEE ALSO Famous Poets Who Overcame Reading Disabilities from Carolee Dean. Tracy Deebs: the author of the PANDORA series and TEMPEST RISING series as well as the co-author of THE INTERNATIONAL KISSING CLUB. Tracy lives in Austin. Tracy Dockray: the author-illustrator of THE LOST AND FOUND PONY and illustrator of numerous books for children, including MY BUNNY DIARY, THE JAMMY DANCE and several titles by Beverly Cleary. Originally from Lubbock, Tracy now makes her home in New York City. 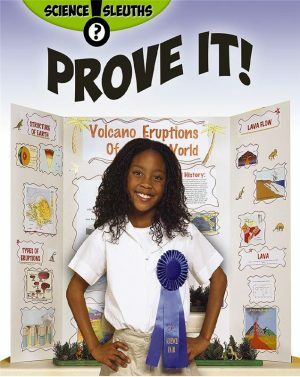 Shirley Smith Duke: the author of NO BOWS, UNTHINKABLE and several science nonfiction titles like STEP BY STEP EXPERIMENTS WITH PLANTS. She lives in Dallas. SEE ALSO An Interview with Shirley Smith Duke. Clare B. Dunkle: the author of THE HOUSE OF DEAD MAIDS, THE WALLS HAVE EYES, THE SKY INSIDE and numerous other books for YA readers. Clare previously lived in San Antonio and is now living in Germany. SEE ALSO Clare B. Dunkle on Of Humans and Other Monsters. 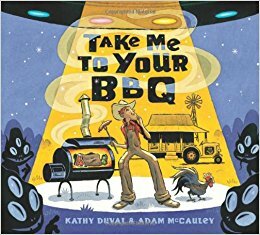 Kathy Duval : the author of A BEAR’S YEAR, TAKE ME TO YOUR BBQ, THE THREE BEARS’ CHRISTMAS and THE THREE BEARS’ HALLOWEEN. Kathy was born in Oklahoma. She grew up in Texas, is formerly of Houston area, and now lives in Santa Fe. SEE ALSO An Interview with Kathy Duval. Jonah Lisa Dyer and Stephen Dyer: the authors of THE SEASON. The Dyers are both native Texans who now make their home in Idaho. SEE ALSO An Interview with Jonah Lisa Dyer and Stephen Dyer. Marianne J. Dyson : a former NASA flight controller and the author of SPACE STATION SCIENCE, HOME ON THE MOON, SPACE AND ASTRONOMY: DECADE BY DECADE and STARS AND GALAXIES. Marianne lives in the Houston area. SEE ALSO An Interview with Marianne J. Dyson. Laura Edge: author of FROM JAZZ BABIES TO GENERATION NEXT: A HISTORY OF THE AMERICAN TEENAGER, ANDREW CARNEGIE: INDUSTRIAL PHILANTHROPIST, LOCKED UP: A HISTORY OF THE U.S. PRISON SYSTEM and other non-fiction titles. She lives in Kingwood. Dotti Enderle (or Dax Varley): the author of THE FORTUNE TELLERS CLUB series as well as THE COTTON CANDY CATASTROPHE AT THE TEXAS STATE FAIR, THE LIBRARY GINGERBREAD MAN, THE FAT STOCK STAMPEDE AT THE HOUSTON LIVESTOCK SHOW AND RODEO, CROSSWIRE, MAN IN THE MOON and more. Dotti is a native Texan and lives in Houston. SEE ALSO An Interview with Dotti Enderle. Chris Espinoza: the author of ROCKET MEGABYTE’S TEXAS ADVENTURE. 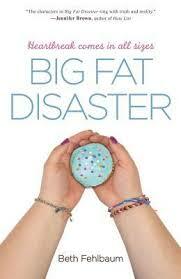 Beth Fehlbaum : the author of the PATIENCE trilogy and BIG FAT DISASTER. SEE ALSO An Interview with Beth Fehlbaum. Pamela Ellen Ferguson: the author of SUNSHINE PICKLELIME. Pamela lives in Austin. SEE ALSO An Interview with Pamela Ellen Ferguson. Susan Fletcher: the author of FALCON IN THE GLASS, THE DRAGON CHRONICLES and DADBLAMED, UNION ARMY COW. Susan lives in Bryan, Texas. SEE ALSO Susan Fletcher on WAITING TO FLY. Brian Floca: the author and illustrator of LOCOMOTIVE, and several other books for young readers and the illustrator of numerous titles. Brian was born and raised in Temple, and now lives in Brooklyn, New York. Carolyn Dee Flores: the author-illustrator of A SURPRISE FOR TERESITA/UNA SORPRESA PARA TERESITA, DAUGHTERS OF TWO NATIONS and CANTA, RANA, CANTA / SING, FROGGIE, SING. Carolyn lives in central Texas. SEE ALSO Carolyn Dee Flores on Illustration Technique. 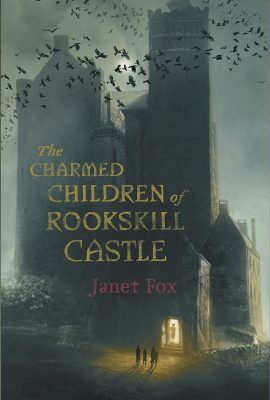 Janet S. Fox: the author of THE CHARMED CHILDREN OF ROOKSKILL CASTLE, GET ORGANIZED WITHOUT LOSING IT, FAITHFUL, FORGIVEN and SIRENS. Janet previously lived in College Station and now makes her home in Montana. SEE ALSO An Interview with Janet Fox. 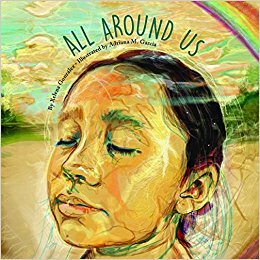 Adriana M. Garcia: the illustrator of ALL AROUND US. She was born and raised in San Antonio. Sherry Garland: a fifth generation Texan, most of her books are set in Texas. Sherry’s titles include VOICES OF PEARL HARBOR, THE LOTUS SEED, SONG OF THE BUFFALO BOY, SHADOW OF THE DRAGON and MY FATHER’S BOAT. She lives in Bryan. SEE ALSO Sherry Garland on Requiem for a Book. 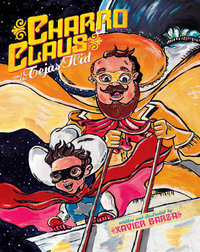 Cynthia Leonor Garza: the author-illustrator of LUCIA THE LUCHADORA. Cynthia is from South Texas and lives in Nairobi, Kenya. Xavier Garza : the author of CREEPY CREATURES AND OTHER CUCUYS and LUCHA LIBRE: THE mAN IN THE SILVER MASK. Xavier was born in Rio Grande City and lives in San Antonio. Gail Giles: the acclaimed author of DARK SONG, SHATTERING GLASS, DEAD GIRLS DON’T WRITE LETTERS, PLAYING IN TRAFFIC, WHAT HAPPENED TO CASS MCBRIDE? and RIGHT BEHIND YOU. Gail lives in The Woodlands. SEE ALSO An Interview with Gail Giles. Debbie Gonzales: the author of GILT EDGE READERS SERIES and the forthcoming PLAYING LIKE A GIRL. Debbie is a Texan, now living in Michigan. SEE ALSO An Interview with Debbie Gonzales. Xelena González : the author of ALL AROUND US. Xelena has roots in San Antonio and studied library science at Texas Woman’s University. She lives in Guangzhou, China, where she works as a librarian in an international school. John Gosselink: the author of THE DEFENSE OF THADDEUS A. LEDBETTER. John lives in Austin. Keith Graves: the author/illustrator of several books, including CHICKEN BIG, THE UNEXPECTEDLY BAD HAIR OF BARCELONA SMITH, THREE NASTY GNARLIES, PET BOY, THE ORPHAN OF AWKWARD FALLS and FRANK WAS A MONSTER WHO WANTED TO DANCE. Keith lives in Austin. SEE ALSO An Interview with Keith Graves. Peni R. Griffin: a fantasy, historical and contemporary fiction author for children and young adults. Peni’s books include SULLIVAN THAT SUMMER, MARGO’S HOUSE, VIKKI VANISHES, THE MAZE, THE BRICKHOUSE BURGLARS, THE SWITCHING WELL and THE TREASURE BIRD. She lives in San Antonio. SEE ALSO An Interview with Peni R. Griffin. Lila Guzman: the author of the LORENZO series. Lila lives in Round Rock. SEE ALSO An Interview with Lila Guzman. Babs Bell Hajdusiewicz: a poet and the author of more than ninety books for children, including DON’T GO OUT IN YOUR UNDERWEAR, reference and easy reader books. Babs lives in the Houston area. Daniel J. Hale: the co-author of the ZEKE ARMSTRONG mystery series. Daniel splits his year between Texas and southern California. Marian Hale: the author of THE TRUTH ABOUT SPARROWS, THE GOODBYE SEASON and DARK WATER RISING. Marian lives in Rockport, Texas. SEE ALSO An Interview with Marian Hale. Kelly Milner Halls: the author of sever books, including GIRL MEETS BOY, SAVING THE BAGHDAD ZOO, ALIEN INVESTIGATION, IN SEARCH OF SASQUATCH, and DINOSAUR MUMMIES: BEYOND BARE-BONED FOSSILS. She was raised in Friendswood, Texas (and has an interest in returning to her home state for events). SEE ALSO An Interview with Kelly Milner Halls. Jo Harper: the author of several books, including MIER MEN: THE ADVENTURES AND SUFFERING OF COLORFUL MEN ON THE MIER EXPEDITION, BIRTH OF THE FIFTH SUN, FINDING DADDY: A STORY OF THE GREAT DEPRESSION, JALAPENO HAL, I COULD EAT YOU ALL UP! and more. She lives in Houston. 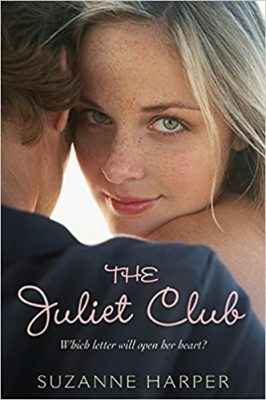 Suzanne Harper : the author of THE SECRET LIFE OF SPARROW DELANEY and THE JULIET CLUB. Suzanne graduated from The University of Texas at Austin and now makes her home in New York. SEE ALSO An Interview with Suzanne Harper. Karen Harrington: the author of SURE SIGNS OF CRAZY, COURAGE FOR BEGINNERS and MAYDAY. Karen lives in Plano. Betsy Haynes: the author of several books, including the BONE CHILLER series, the BOY TALK series and the FABULOUS FIVE super edition series. Betsy lives on Lake Lewisville, north of Dallas. 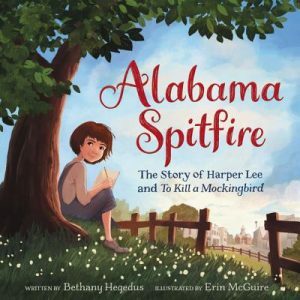 Bethany Hegedus : the author of BE THE CHANGE: A GRANDFATHER GANDHI STORY, GRANDFATHER GANDHI, BETWEEN US BAXTERS, TRUTH WITH A CAPITAL T, and ALABAMA SPITFIRE: THE STORY OF HARPER LEE AND TO KILL A MOCKINGBIRD. She lives in Austin. SEE ALSO An Interview with Bethany Hegedus. Joy Fisher Hein: the illustrator of MISS LADY BIRD’S WILDFLOWERS, BLOOMIN’ TALES: SEVEN FAVORITE WILDFLOWER LEGENDS, SAM HOUSTON: STANDING FIRM and more. Joy is from the Texas Hill country. SEE ALSO An Interview with Joy Fisher Hein. Helen Hemphill: the author of LONG GONE DADDY, THE ADVENTURES DEEDS OF DEADWOOD JONES and RUNAROUND. Helen is a native Texan who lives with her family in Nashville. SEE ALSO An Interview with Helen Hemphill. Jason Henderson: the author of the ALEX VAN HELSING series and other titles. 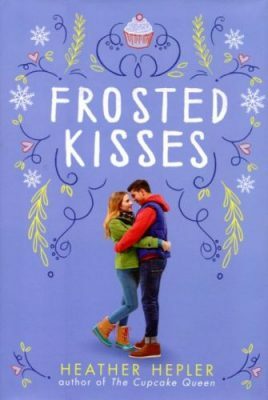 Heather Hepler : author of FROSTED KISSES, THE CUPCAKE QUEEN, LOVE? MAYBE. and more. SEE ALSO An Interview with Heather Hepler. Kristi Holl: a writing teacher and the author of more than 20 books for young readers, including THE BOARDING SCHOOL mysteries, the FAITHGIRLZ series and MORE WRITER’S FIRST AID: GETTING THE WRITING DONE. She lives in San Antonio. K.A. Holt: the author of HOUSE ARREST, MIKE STELLAR: NERVES OF STEEL, BRAINS FOR LUNCH and others. K.A. makes her home in Austin. SEE ALSO An Interview with K.A. Holt. Kimberly Willis Holt: the author of numerous books, including the PIPER REED series, THE ADVENTURES OF GRANNY CLEARWATER & LITTLE CRITTER, WAITING FOR GREGORY, THE WATER SEEKER, SKINNY BROWN DOG, PARK OF ME, DANCING IN CADILLAC LIGHT, WHEN ZACHARY BEAVER CAME TO TOWN, MY LOUISIANA SKY and MISTER AND ME. She lives in the Dallas area. SEE ALSO An Interview with Kimberly Willis Holt. Polly Holyoke: the author of THE NEPTUNE PROJECT trilogy. Polly lives in Plano. P. J. Hoover: the author of The TUT series, SOLSTICE and THE FORGOTTEN WORLDS books. P. J. lives in Austin. SEE ALSO An Interview with P.J. Hoover and her pseudonym Connor Hoover. A.G. Howard: the author of the SPLINTERED series, THE ARCHITECT OF SONG and ROSEBLOOD. A.G. lives in Amarillo. C.C. Hunter: the author of the SHADOW FALLS series. C.C. lives in Houston. Louise A. Jackson: the author of EXILED! and GONE TO TEXAS: FROM VIRGINIA TO ADVENTURE. Louise has Texas roots and specializes in historical fiction. Shelley Ann Jackson : the co-author-illustrator of LITTLE LIONS, BULL BAITERS & HUNTING HOUNDS: A HISTORY OF DOG BREEDS as well as HARNESS HORSES, BUCKING BRONCOS AND PIT PONIES and other picture books. Shelley Ann is formerly of Austin and now lives in England. SEE ALSO An Interview with Shelley Ann Jackson. David Jacobson: the author of ARE YOU AN ECHO? THE LOST POETRY OF MISUZU KANEKO. David formerly lived in Houston and now makes his home in Seattle. SEE ALSO Guest Post from David Jacobson. A. M. Jenkins: the author of several young adult novels, including NIGHT ROAD, DAMAGE, BEATING HEART: A GHOST STORY and REPOSSESSED. She lives in Benbrook, Texas. SEE ALSO An Interview with A.M. Jenkins. C.S. Jennings: the author-illustrator of HELLO, TEXAS! and the illustrator for JACOB WONDERBAR books. Christopher makes his home in Austin. Layne Johnson: the illustrator of numerous books for children, including VOICES OF PEARL HARBOR, THE POPPY LADY, RACE THE WILD WIND, A YOUNG MAN’S DANCE, CHRISTMAS FOR A KITTEN, WHERE HORSES RUN FREE and GRANDPARENT POEMS. Layne is a native Houstonian. SEE ALSO An Interview with Layne Johnson. Regan Johnson: the author/illustrator of LITTLE BUNNY KUNG FU. She lives in the Austin area. 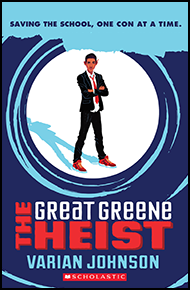 Varian Johnson: the author of TO CATCH A CHEAT, THE GREAT GREENE HEIST, MY LIFE AS A RHOMBUS and SAVING MADDIE. Varian is based in Austin. SEE ALSO An Interview with Varian Johnson. Sara K. Joiner: the author of AFTER THE ASHES, grew up in central Texas and most recently lived in Houston before moving to Fort Wayne, Indiana. Sophie Jordan: the author of the FIRELIGHT series. Sophie grew up in the Texas Hill Country and now makes her home in Houston. SEE ALSO An Interview with Sophie Jordan. Janet Kaderli: the author of PATCHWORK TRAIL, MOLASSES COOKIES, MANY PLACES and SO MANY PLACES TO GO. Jacqueline Kelly: the author of THE EVOLUTION OF CALPURNIA TATE and RETURN TO THE WILLOWS. Jacqueline lives in Austin. SEE ALSO An Interview with Jacqueline Kelly. Lynne Kelly: the author of CHAINED. Lynne lives in Houston. SEE ALSO An Interview with Lynne Kelly. Doug Kennedy: the illustrator of numerous books, including SIX FOOLISH FISHERMEN, THE UGLY DUCKLING DINOSAUR and the PIRATE PETE picture book series. Doug lives in Austin. Helen Ketteman: the author of GO TO SCHOOL, LITTLE MONSTER, BUBBA THE COWBOY PRINCE, THE THREE LITTLE GATORS, GOODNIGHT LITTLE MONSTER, SWAMP SONG, THE YEAR OF NO MORE CORN, THE CHRISTMAS BLIZZARD and LUCK WITH POTATOES. Formerly of Dallas, Helen now lives in southwest Florida. SEE ALSO Helen Ketteman on Making Picture Books Sing. M.G. King: the author of LIBRARIAN ON THE ROOF! A TRUE STORY. SEE ALSO A Guest Post by M.G. King. 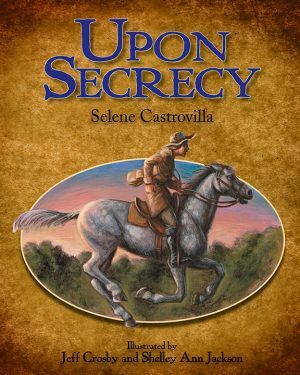 Susan Holt Kralovansky: the author of TWELVE COWBOYS ROPIN’ and THERE WAS A TALL TEXAN WHO SWALLOWED A FLEA. Susan lives in Austin. 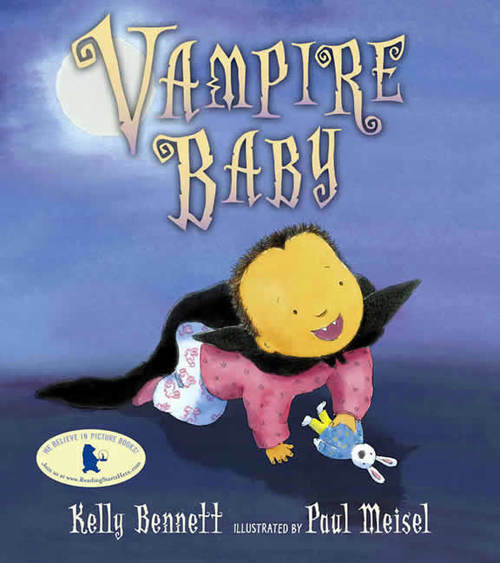 SEE ALSO An Austin SCBWI Member Interview with Susie Kralovansky. Sara Kocek: the author of PROMISE ME SOMETHING. Sara lives in Austin. SEE ALSO An Interview with Sara Kocek. 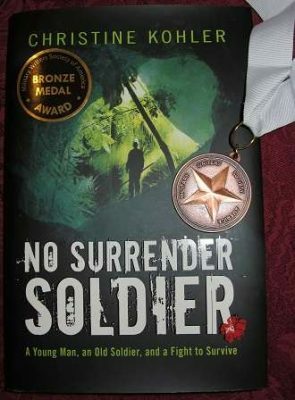 Christine Kohler : the author of numerous books, including NO SURRENDER SOLDIER, the GLEE CLUB series, TURKEY IN THE NEWS: PAST, PRESENT, AND FUTURE and FOR A BETTER LIFE. Christine is based outside of Fort Worth.